Submitted photos Workers put down the padding and new field turf June 7 at Frank Zink Field in Beavercreek. 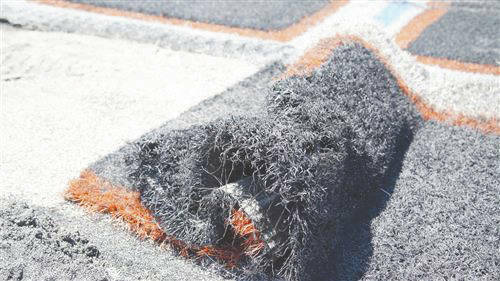 https://www.beavercreeknewscurrent.com/wp-content/uploads/sites/49/2018/07/web1_EndZoneTurf_PS.jpgA clump of end zone turf waits to be removed from Beavercreek High School’s Frank Zink Field as part of a turf improvement project funded by Miami Valley Hospital. 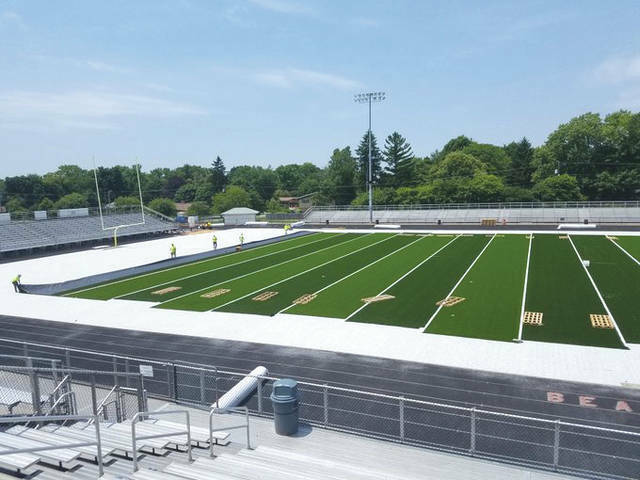 https://www.beavercreeknewscurrent.com/wp-content/uploads/sites/49/2018/07/web1_FieldView_PS.jpgSubmitted photos Workers put down the padding and new field turf June 7 at Frank Zink Field in Beavercreek. 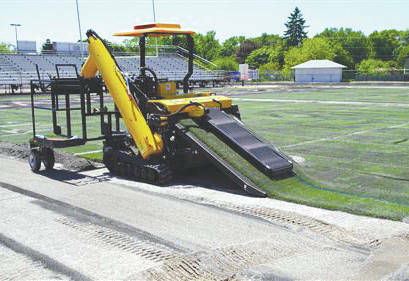 https://www.beavercreeknewscurrent.com/wp-content/uploads/sites/49/2018/07/web1_NewCreekTurf_PS.jpgA machine sits idle in mid-strip of a layer of the old football field turf June 6 at Frank Zink Field at Beavercreek High School. As part of the project, the school’s athletic running track was being resurfaced as well.